I'm a huge fan of THE SEARCHERS. Alan LeMay wrote the wonderful novel that the John Wayne movie is based on. Sadly, it was the only book by LeMay I'd ever read until now. This one is a collection of decent short stories, all westerns. None of them come close to holding a candle to THE SEARCHERS, but really, how could they? Most of them are your basic pulp western tales, but there are a few that stand out. My favorite is, hands down, the first in the book: "The Wolf Hunter." 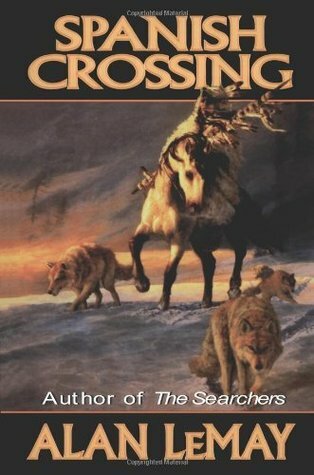 It's the story of a wolf hunter getting locked into a battle to the death with a trickster coyote. The battle of wits between them is awesome, but the best part comes after one of them emerges victorious. My second favorite is the last story in the book: "Spanish Crossing." Talk about misunderstandings! I also loved the intro, written by LeMay's son, about LeMay's life and career. He was a very interesting guy who did a lot of things before dying prematurely in the 'Sixties. Alan LeMay - Western writer chiefly known for The Searcher and The Unforgiven.